What awards are and to whom they should be presented? An award is a symbol of appreciation, encouragement, motivation, approval, recognition, or distinction that honors the recipient in public. Even as a kid we loved to be encouraged. No matter what work we did, a pat on the back always pepped us up. Remember those small trophies in school sports events? Or working day in and out to win the science project? Plaques, Trophies, Mementoes & medals are to be treasured forever. To delegates, guests of honour & others taking part in conferences, corporate, cultural & sports events. As a souvenir from an event. Trophies for sporting achievements are the most popular. Games like tennis, football, basketball, cricket and golf all have coveted trophies. No one can forget the pictures of sportsmen weeping with joy and clutching their hard-earned trophies. Trophies are sometimes given for achieving business targets or for attending training programs. They are also given to members of elite clubs and organizations. Absi Co awards can be different in making and designing. 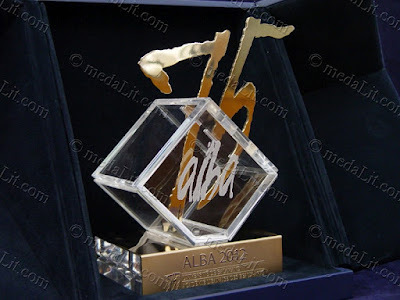 Absi Co offer custom trophies, which are exclusively designed trophies for particular events, people and occasions. 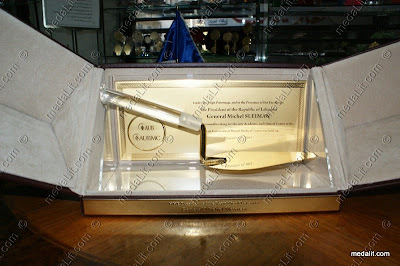 For example, the "Golden Trowel" is custom-made for the groundbreaking ceremonies. Customization enables one to make a trophy unique and thus make valuable. Often it is not the cost that is important, but the ingenuity of the design. 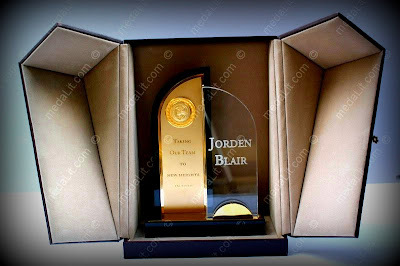 You can easily get the best custom made trophies made of acrylic and metal. 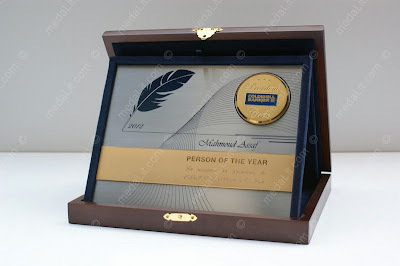 Your company logo, artwork and any other branding that you are looking for completely incorporated on the awards. Nothing can beat the shine and the sparkle of a metal award. Designs that celebrate accomplishment or triumph, which epitomize performance and exuberance, are quite common. 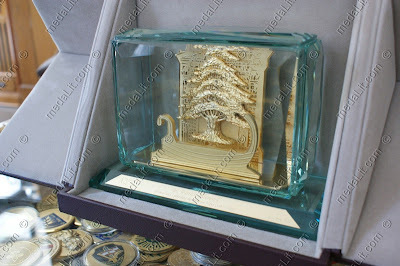 The "Achievement", the "Jewel Box" and the "Plume" plaque are some of the popular awards designs.